We intercepted this text message from Mike Frerichs to who we think might be his campaign manager on what we understand was the morning of Governor's Day at the Illinois State Fair. It seems, Tax Hike Mike was wanting to make sure he had his signature earmuffs with him. 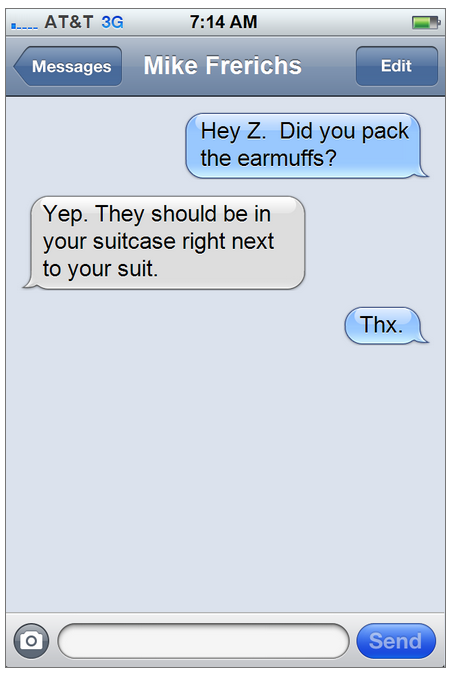 Have you intercepted any other texts from Illinois politicians? Drop them to us at tipthetruthteam@gmail.com.